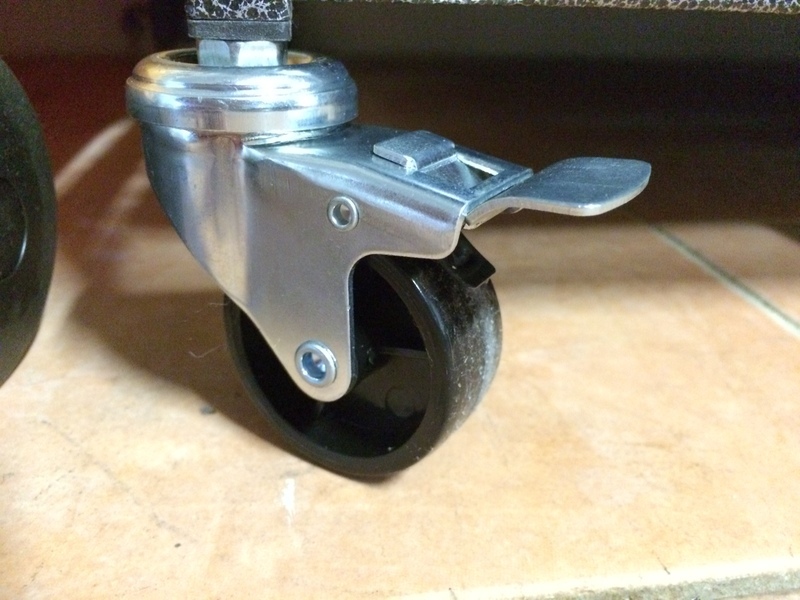 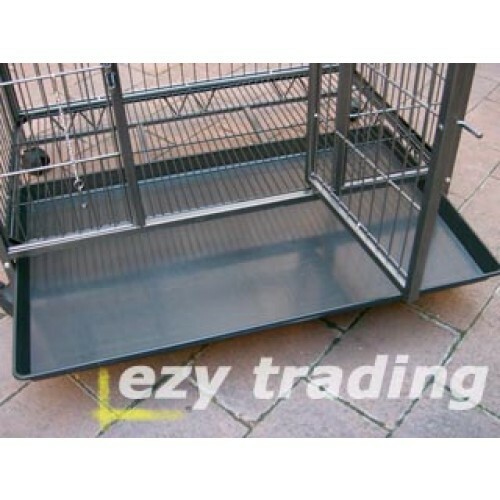 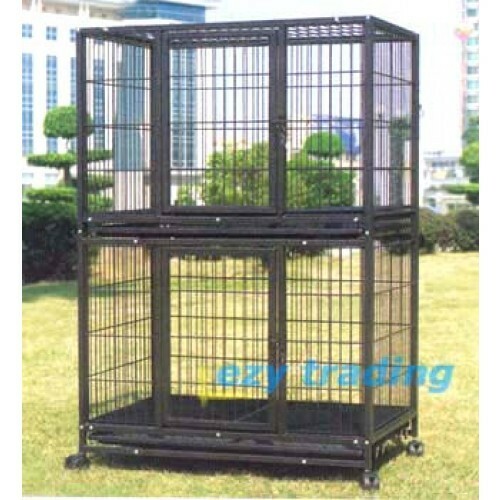 A heavy duty metal tube double decker pet cage on wheels. 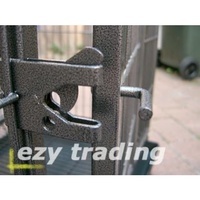 Easy to clean wire mesh flooring with plastic trays, self latching locks at the front and a top opening. 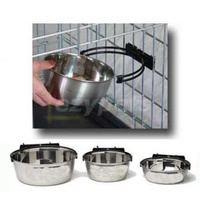 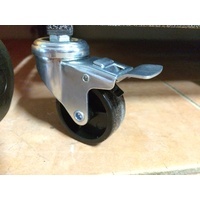 Great for boarding, grooming shops and breeders. 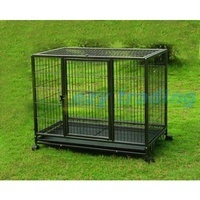 We also sell a canvas cover for this cage. 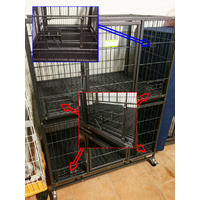 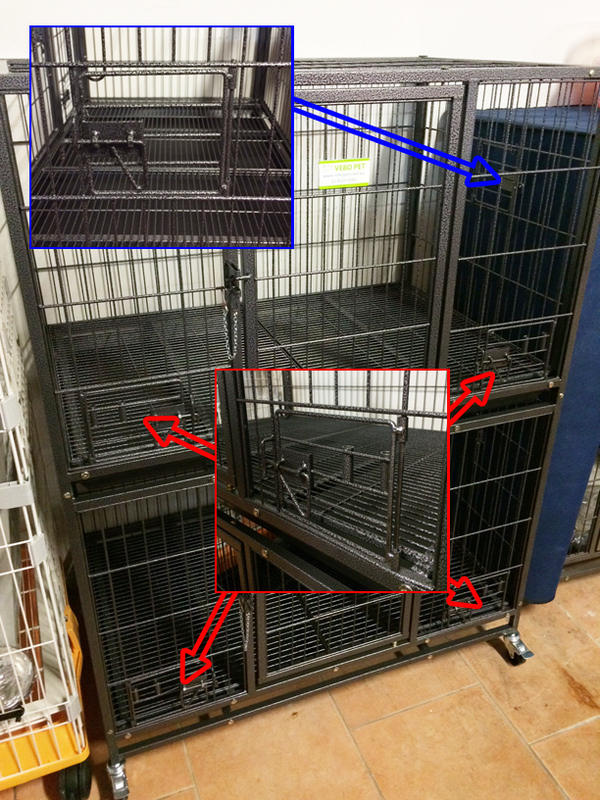 Note: While this cage has been treated with a powder coating for rust protection to withstand water splashes, we do not recommend hosing this cage as water could get trapped inside the cavity of the metal tube frame through screw holes, which could cause rust damages.